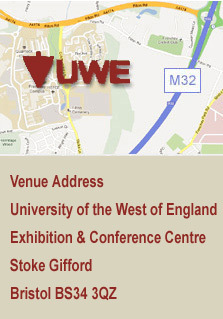 by using the online booking procedure and accepting these terms and conditions you agree that an invoice will be raised for the standard exhibition stand price of £481.00+VAT, as advertised in the Landlord Expo 2019 Exhibitor Prospectus. Landlord Expo 2019 reserves the right to change any part of this agreement without notice and your use of the Website will be deemed as acceptance of this agreement. We advise users to regularly check the Terms and Conditions of this agreement. Landlord Expo 2019 has complete discretion to modify or remove any part of this site without warning or liability arising from such action. Landlord Expo 2019 will under no circumstance be liable for indirect, special, or consequential damages including any loss of business, revenue, profits, or data in relation to your use of the Website. Nothing within this Agreement will operate to exclude any liability for death or personal injury arising as result of the negligence of Landlord Expo, its employees or agents. All intellectual property of Landlord Expo 2019 such as trademarks, trade names, patents, registered designs and any other automatic intellectual property rights derived from the aesthetics or functionality of the Website remain the property of Landlord Expo 2019. By using the Website you agree to respect the intellectual property rights of Landlord Expo 2019 and will refrain from copying, downloading, transmitting, reproducing, printing, or exploiting for commercial purpose any material contained within the Website without prior permission. The information is provided on the understanding that the website is not engaged in rendering advice and should not be wholly relied upon when making any related decision. The information contained with the Website is provided on an “as is” basis with no warranties expressed or otherwise implied relating to the accuracy, fitness for purpose, compatibility or security of any components of the Website. 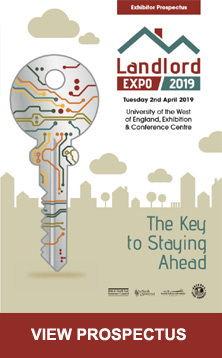 We do not guarantee uninterrupted availability of the www.landlordexpo.co.uk Website and cannot provide any representation that using the Website will be error free. Data provided on the online registration screen (name, email adress and telephone number) will be added to the Bristol City Council Landlord Database and will also be shared with the Landlord Expo event sponsor. Neither Bristol City Council or the event sponsor will share your data with any other department or organisation. If you wish to be removed from either the Bristol City Council Landlord Database or the event sponsor database then please either contact them directly requesting that your details are removed or email info@landlordexpo.co.uk and we will arrange for your unconditional removal. By using the online exhibitor booking procedure you are entering into a contract with Landlord Expo 2019 to purchase a stand or sponsorship. If cancellation is made in writing on or before 2nd March 2019 then 50% of the booking fee will be refunded (or only 50% will be invoiced if payment has not yet been made). If cancellation is made after this date then no refund will be made. The organisers reserve the right to cancel any exhibition stand booked online. We reserve the right to refuse a booking where the company could be deemed to be inconsistent with the role of the Council.